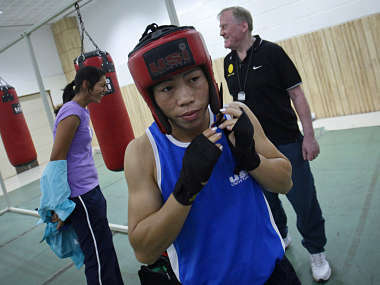 Five-time world champion MC Mary Kom (48kg) today assured herself of a third successive international medal by advancing to the semifinals of the 69th Strandja Memorial Boxing Tournament for men and women in Sofia on Thursday. 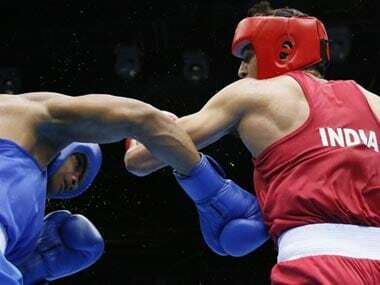 India have not sent any entry in the 56kg category as boxer Shiva Thapa qualified for the Rio Games during the Asian qualifiers in March. 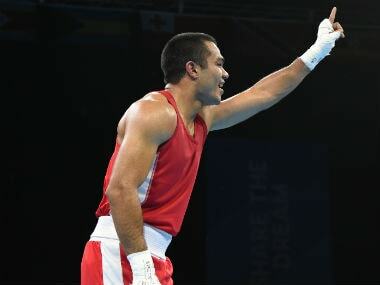 L Devendro Singh and Vikas Krishan will be spearheading a nine-strong Indian boxing team picked for the AIBA World Olympic Qualifying Tournament. 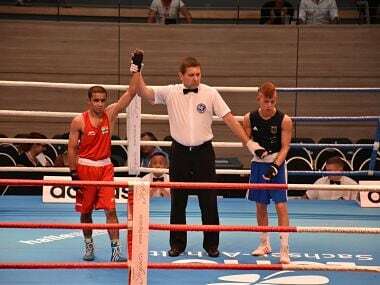 Three Indian boxers, including top seeds M C Mary Kom (51kg) and Shiva Thapa (56kg), stood just one win away from clinching an Olympic berth after they advanced to the semifinals of the Asia/Oceania Qualifying Tournament on Tuesday.